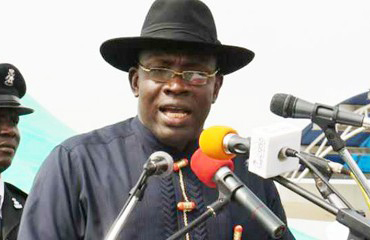 (AFRICAN EXAMINER) – The Bayelsa State Government on Saturday threatened to drag the Federal Government to court if it refuses to deduct the 13 percent derivation component of the $1 billion Excess Crude Account (ECA) it plans to withdraw to tackle insecurity in the country. 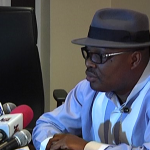 The State Commissioner for Information, Daniel Iworiso-Markson, said in a statement said that the State Government was insisting that the 13 percent derivation component of the money be deducted and sent to the various oil producing states in the Federation as earlier demanded. 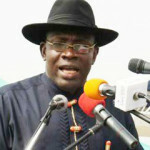 Iworiso-Markson quoted the State Governor, Honourable Henry Seriake Dickson, as having explained that withdrawing the $1 billion without deducting and paying the 13 percent derivation to the oil- producing states would amount to arm twisting them to make double contributions to the security funds. The governor said that wholesome withdrawal of the funds inclusive of the 13 percent derivation would mean that the oil producing states would be making double contributions because they would be contributing their allocations like all other states and then the 13 percent derivation constitutionally provided for, to address security and other pressing needs in the states. Governor Seriake Dickson had demanded that the 13 percent derivation component of the funds be deducted and deployed in the oil-producing states to address the peculiar security challenges in the region. Though the President Muhammedu Buhari Government claims the one $1 billion from the ECA would be used for security purpose. The state government has also formally presented its position to the Vice President, Prof. Yemi Osinbajo, who is also the Chairman of the National Economic Council NEC). Dickson had earlier called the attention of the Vice President, Osinbajo, to the position of the State Government on the proposed withdrawal of the ECA funds last December. 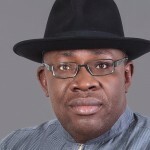 The Commissioner said, “The Bayelsa State Government will approach the court to enforce deduction of the 13 percent derivation component from the $1 billion ECA funds which the Federal Government claims it plans to withdraw to tackle insecurity. “We have held meetings with the Vice President, President Yemi Osinbajo, on this issue. We even backed it up with a formal letter to the President through the Vice President which was taken to Abuja by His Excellency, the Deputy Governor and delivered by hand to the Vice President to underscore the importance we attach to the issue in question. “Our position remains the same: while the state government is not opposing the planned withdrawal of the funds for security and indeed the general well-being of the society, it would be unfair and unjust to pull out the funds without releasing the 13 percent to the oil- producing states. “An arrangement that compels a group of states to contribute twice to the fund while their counterparts contribute only part of their statutory allocation cannot be said to be just. The constitution is clear on this and we shall approach the court to advocate our position. Governor Dickson had earlier demanded the constitution of a committee of the Governor’s Forum to work with the Chairman of the National Economic Council and heads of the security agencies on the items listed to be procured with the ECA funds. Dickson had said that only such an arrangement would suffice in addressing the widespread fears already expressed by various bodies and individuals in the country.